This is the sixth part of a multi-part sermon series intended to cover the entire Book of Acts. In this sermon missions involving travels, proclamation success, and the persecution are covered. Also, the topic of anointed cloths is discussed. Aspects of the gospel of the Kingdom of God are covered. Techniques Paul and Apollos used to prove Jesus was the Messiah are mentioned as was the faithfulness of the Bereans to use scripture. Dr. Thiel reads each verse of chapters 17 through 19 of the Book of Acts and ties those in with verses in other parts of the Bible, geography, and aspects of 21st century Christianity. The declaration of Paul intending to reach Gentiles is also discussed. So was paying government officials money/bribes to do the right thing. 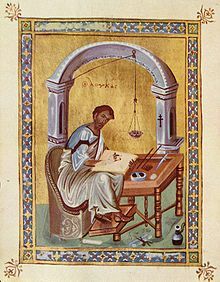 How Paul tied in pagan writing and understandings to better reach the ‘men of Athens, with the truth of God. Which Feast Paul was referring to in Acts 18:21 was also discussed. Here is a link to the sixth part of this sermon series: Acts 17-19: Travels, Anointed Cloths, & the Gospel of the Kingdom. ACTS Here is an article: The Book of Acts. Here is a link to related sermons: Book of Acts 1-2: Jesus Left, New Testament Church Began, Acts 3-5: Miracles, Trials, Proclamation, and Persecution, Acts 6-9: Widows, Stephen, Saul, and Simon Magus, Acts 10-12: Visions, Dreams, and Gentiles, and Acts 13-16: Prophets, Poisoning, and Proclamation,and Acts 17-19: Travels, Anointed Cloths, & the Gospel of the Kingdom. This entry was posted on Saturday, August 11th, 2018 at 12:01 am	and is filed under Church History, COG News, Doctrine.